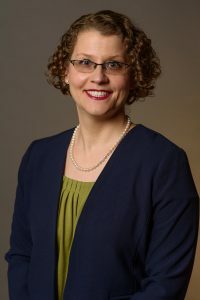 Elisabeth Smith is currently serving as the Director of Quality and Education, a new Director position for Hospice of the Chesapeake. Ms. Smith joined Hospice of the Chesapeake in March 2014 as a Pediatric Educator moved in January 2015 to Compliance and Education Coordinator and was quickly promoted to Compliance Manager in August 2015. Smith brings to her new role a strong passion for the advancement of the role of the interdisciplinary team through educational initiatives. In her new role, Smith will lead a team focused on our quality initiatives and the assessment, strategy, planning, implementation and evaluation of all education and training activities. Prior to joining Hospice of the Chesapeake, Smith held positions of increasing responsibility with Coastal Hospice and Maxim Healthcare with a focus in pediatric hospice care and performance improvement throughout the organizations she served. Smith holds a Bachelor of Science in Nursing and holds a Hospice and Palliative Nursing Certification as well is qualified as an ELNEC trainer.